Hi everyone! I have a new literature unit to add to our collection! 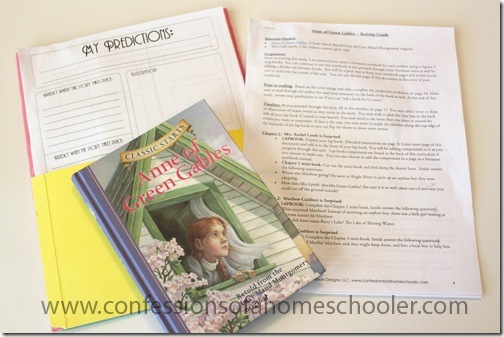 Today I’m sharing my new Anne of Green Gables Unit Study and Lapbook. Hope you enjoy! Anne is a sweet, imaginative, and charismatic young orphan girl who is unexpectedly adopted by a family in Green Gables. The story follows Anne as she experiences the pains and joys of becoming part of a family. And her life growing up in the remote Canadian village of Avonlea. This accompanying unit study is meant to be used with the Classic Starts Anne of Green Gables version as retold from the Lucy Maud Montgomery original. The Classic Start versions are find them a little easier for younger readers, but you could certainly use this unit study with the original version if you have an older student. The lapbook chapters will correlate with the Classic Starts edition, but the concepts are the same, so you should be able to complete the units using any version you choose. 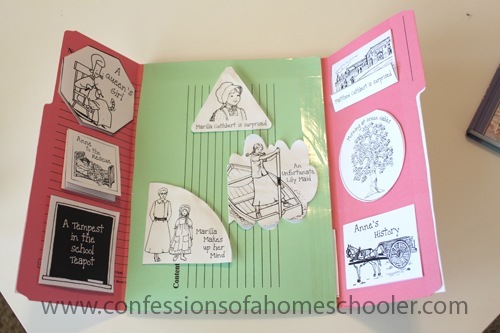 Each unit includes everything you need to complete the Anne of Green Gables lapbook with the exception of the book itself and the file folders. This unit includes also 5 reports that your students can complete. If you have older readers, have them do these reports to make the unit a bit more challenging. If you have younger readers, you might prefer to ask the questions verbally so they aren’t having to write a report. This unit has 25 mini-books including a vocabulary mini-book full of terms to learn throughout the story. Will you be compiling the recent literature studies that you’ve done into one set, like you have with the original classic literature studies? Thanks for all you do! 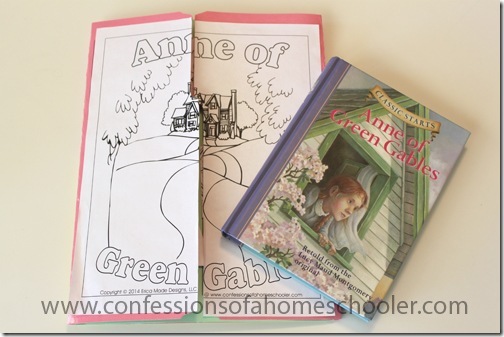 When I was younger, Anne of Green Gables was my favorite set of books. I loved the story line. Thank you for sharing. Have a great day!!! Thanks for letting me know about the typo! I’ve written so many of these now I’m getting them mixed up! LOL! Oh my! How awesome! I LOVE Anne of Green Gables! We have several different versions of the book and the complete set of movies. I would love to use this lapbook study with my daughter. We are currently working through your Black Beauty one and she’s having so much fun. Thank you for the opportunity to win this! 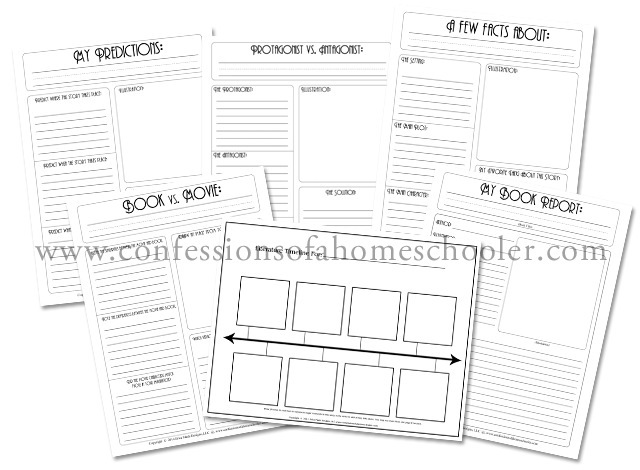 Are you currently working on another literature lapbook set? This looks great! Anne of Green Gables is one of my all time favorite books. When I click on the ‘Buy Now’ button it takes me to a page to buy 20,000 Leagues. Can you somehow let me know when it is fixed so I can purchase the correct unit? THANK YOU! I love this book and am excited to share my love of it with my 4 little girls. Along with this Unit Study I think they’ll love it even more and always remember it. Thank you again, you’re the best! I teach in a homeschool co-op, 7-9 year olds. 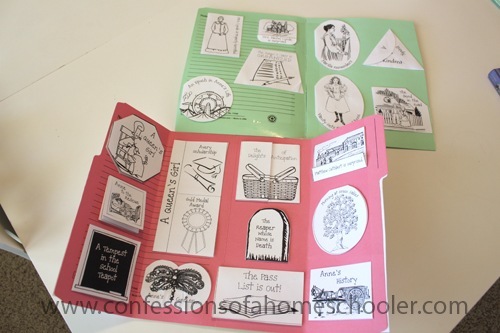 I would LOVE to use your Anne of GG lapbook, but I am not doing any of the other books in the CLASSROOM edition, and don’t have much budget. 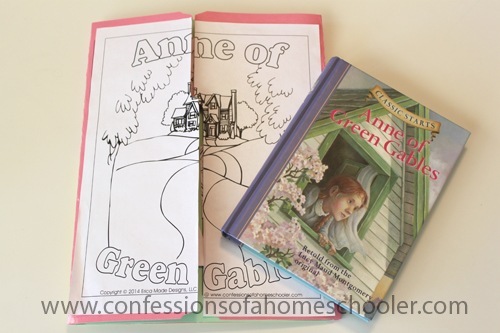 Is there a way I can get just Anne of GG permission without purchasing the whole thing?